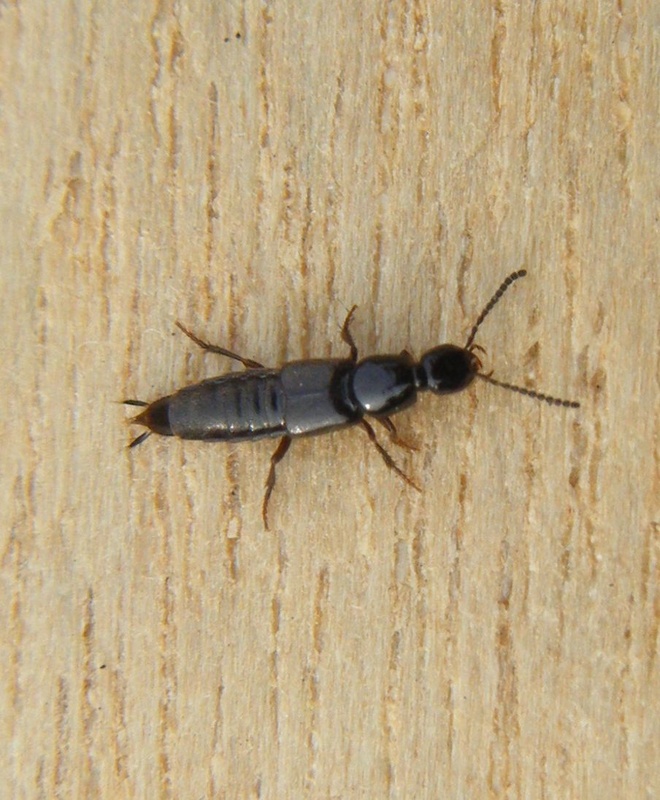 A small (about 5 mm) dark rove beetle with short dark brown wing cases. Under logs and stones and in leaf litter and debris. Widespread but infrequent in England and Wales, little recorded in Scotland. Infrequent in Leicestershire and Rutland. There were only 6 VC55 records for this species up to March 2015.